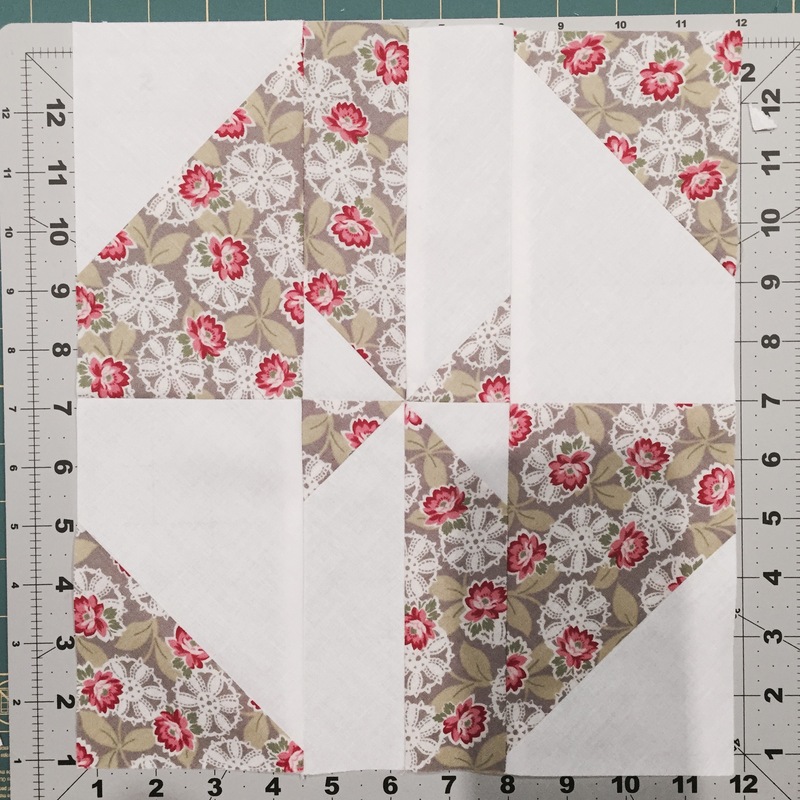 Ohhhh mannn am I loving this pattern from Missouri Star Quilt Company called The Disappearing Pinwheel 5 TWIST Quilt. I’m making it with two layer cakes; one in lovely vintage fabrics, the other a solid white. Sewing the 10 inch layer cake squares together around the perimeter. Cutting the sewn squares from corner to corner twice to make half square triangles. The finished block is on the right. Pressing open the half square triangles. I still have two more rows to finished. I decided to take my time with this quilt top. It was important to me to set my sewing “style”. 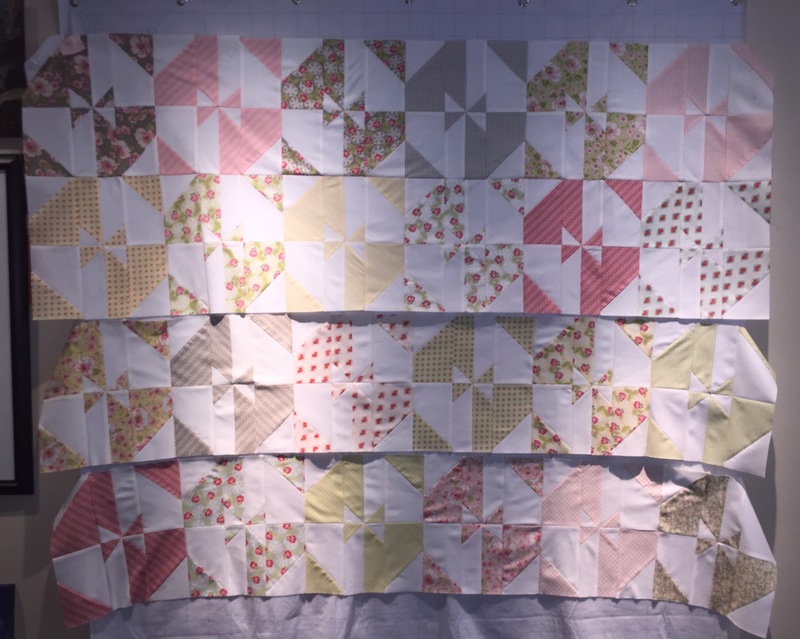 Though I made one block in it’s entirety to experience the process and see how it would turn out, I’ve found that I like to sew in an assembly line, much like Jenny Doan of MSQC. There’s a kind of mediative feeling I get when sewing this way. I’m hoping to get this top completed in a day or two. 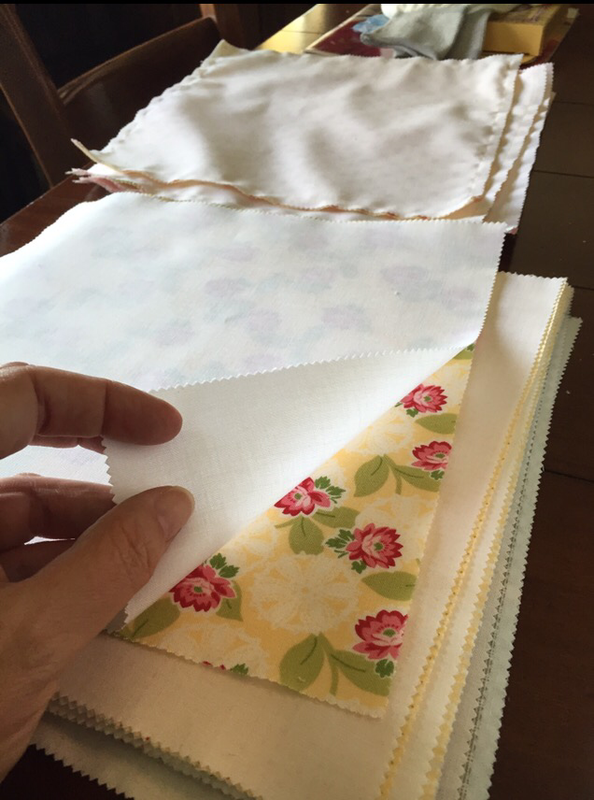 I’m itching to go shopping for the backing, border and binding fabric! Whoohoo! There is a lot going for production line sewing, chain piecing and pressing. Thanks for sharing this block, I really love the finished product. I will have to add it to the ever-growing list of quilts I want to make! Ohhhhh Cassandra! I’m right there with you! I need another lifetime to dive into my list lol! Thanks for taking the time to share and comment. Have an amazing day! Thank you! I can’t wait quilt it! Thank you Koko! This wasn’t too difficult, just a bit time consuming. Let me know if you try it!